Cristiano Ronaldo is seriously tempted by a move to Juventus, and the Serie A club are willing to meet his demands to make a sensational move happen, in a transfer that could ignite the summer window. While the latest stories had initially been seen as yet another negotiating ploy in the seemingly perpetual contract stand-off between the Portuguese and Real Madrid, those close to the situation say it has genuinely gone beyond that. 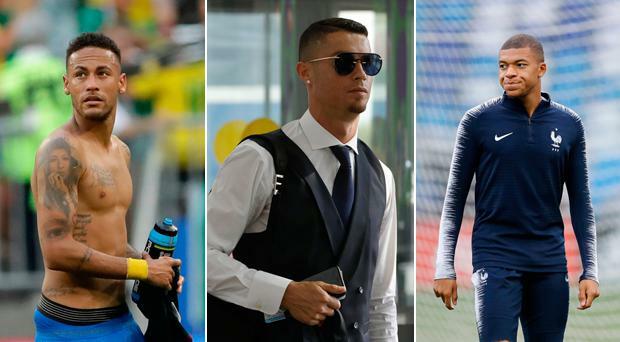 Ronaldo has been frustrated that the European champions have not lived up to perceived assurances to keep him as the best paid player in the world, with the last contracts signed by Lionel Messi and Neymar significantly overtaking him. The reigning Ballon D'Or winner is however already 33, and though his immense productivity as yet shows no sign of slowing down, there are fair questions for Madrid over whether such a commitment would represent value at that age. President Florentino Perez is also increasingly looking to the future, and the need to soon reshape the side while ensuring the same glamour and marketing value is maintained, so it is well known he would like to fund a move for one of Neymar or Kylian Mbappe from Paris Saint-Germain this summer. A £100m Ronaldo move to Juventus could genuinely suit all parties, although there is some way to go, with the situation further complicated by Uefa's re-opened probe into PSG's sponsorship deals. Some close to the Madrid hierarchy believe that the initial leaks about Ronaldo and Juventus were to "test the waters" to see how palatable any sale of the club legend would be to the Bernabeu support. It does remain possible that the situation could be resolved, as has been the case many times before, but this is seen as much more serious. Some around the Madrid dressing room now feel Ronaldo actively wants to go, both out of personal pride, and also the appealing challenge of a new league in Serie A and potentially guiding Juventus to that long-awaited third Champions League. Sources close to Manchester United have also told The Independent that the Premier League club did enquire as to whether a move might for once be feasible, as executive vice chairman Ed Woodward does as ever still want a marquee name for the summer, but were told that there had been significant progress with Juventus.